The UK Home Secretary suggested that under new rules, currently reviewed and discussed at the government level, employers wouldn't necessarily be notified of applicants' criminal records. The negative impact of crime, such as shoplifting, on a person's future and success in life could be avoided if a major shake-up in the British legal system is enforced. 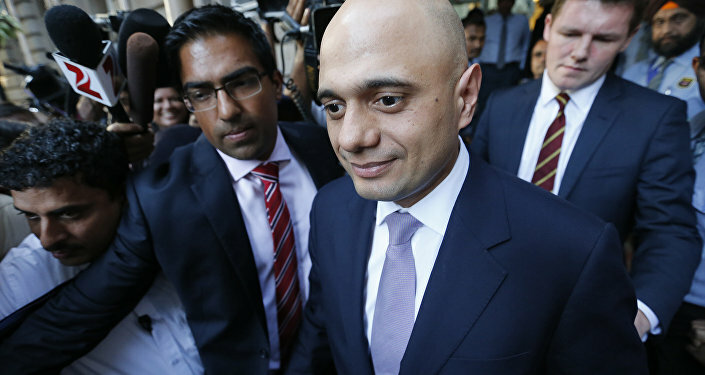 Sajid Javid suggested the system should not stop people from turning their lives around, adding that the government is reviewing whether employers should be informed about certain types of crime committed by applicants. The current requirement is for a job candidate to inform their potential employer about their full crime record, no matter when an offense was committed. "If a young person today has committed two offences no matter what they are — for example, if they have shoplifted twice when they were 11 and 12 or something, that record can linger for years and years when they are an adult. They may find they are never getting a proper chance to turn around. I think we need to be sensible and look again at issues like this," Javid argued. The review of current rules would see the Ministry of Justice rethink the current approach to applicants' "enhanced" or "standard" checks on their criminal records. This means, job seekers might no longer have to disclose details about crimes they have committed in the past, such as common assault (without injury), theft (without violence), drug possession, motoring offences and drunk and disorderly. Among reactions to the ongoing review, criticism by social media users surfaced online, condemning absence of consequences for offenders. They used to say 'crime doesn't pay' back in the day, how times have changed. That doesn't surprise me with the tories. They used to be the party of law and order but that stopped with Theresa May. A one time wipe, yes. Not repeated wipes. Others argued that the current system does require an overhaul. "For me whole system of declaring criminal records on job application needs looking at. It prevents decent people who have made a mistake from working," Twitter user Daniel Davenport said. More than four million enhanced and standard checks are conducted annually in the UK.